Advanced hydration should be a big part of your daily skin care regimen. Regardless of what your skin type is, replenishing your skin with moisture is a must. After winter, we aim to reverse the effects of what the harsh weather condition did to our skin; this is where we have to opt in for an intense rehydrating serum. My review today is going to be about an amazingly powerful yet gentle skin serum I have been using for a couple of weeks now. It is quick-absorbing and lightweight but packs a punch. 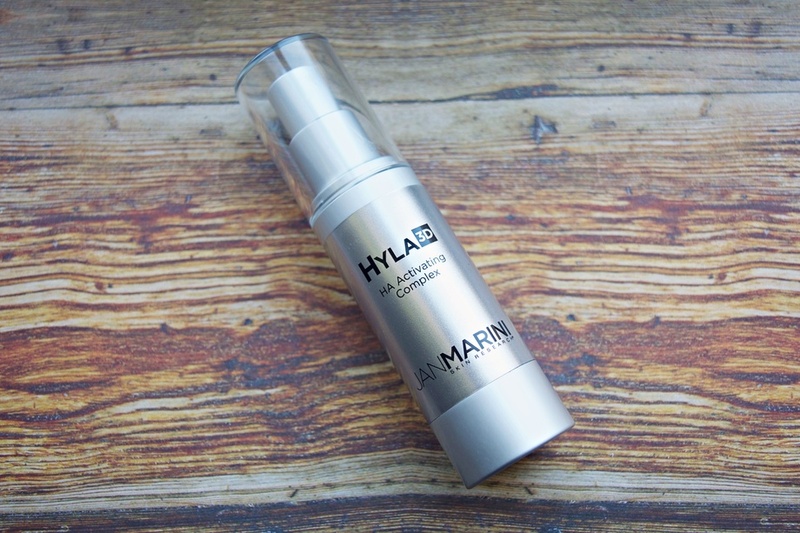 JAN MARINI Hyla3D is a concentrated Hyaluronic Acid Serum formulated to deliver intense hydration to your skin. Hyaluronic Acid is naturally found in our bodies connective tissue. It is a very powerful moisturizing agent. It contributes to the elasticity of the skin. It helps to hydrate and plump the skin. Think of Hyaluronic Acid as a sponge filled with liquid in your skin that holds onto moisture and keeps your skin looking plump. 1. It delivers moisture to the skin and helps plump the skin. 2. It erases fine lines and wrinkles. 3. It boosts collagen and elastin in the skin. 5. It provides antioxidants defense against harsh environmental factors. Age and sun damage diminish the body’s ability to replenish and maintain youthful levels of Hyaluronic Acid in the skin, leading to loss of volume and visible signs of aging. Hyla3D takes a 3-dimensional approach to restore skin’s hydration, youthful volume, smoothness, and to reduce the appearance of fine lines and wrinkles. Hyaluronic Acid is a major component for overall healthy skin that has youthful volume and hydration. Numerous key ingredients in Hyla3D work in 3 modes to address the needs of healthy, hydrated and rejuvenated skin. 1. Multiple molecular weights and forms of Hyaluronic Acid result in deep penetration and rapid, long lasting, continual hydration. 2. Advanced technologies enhance natural Hyaluronic Acid within the skin. As a result, Hyla3D restores hydration and 3-dimensional volume, while reducing the appearance of fine lines and wrinkles for a more youthful, contoured look. 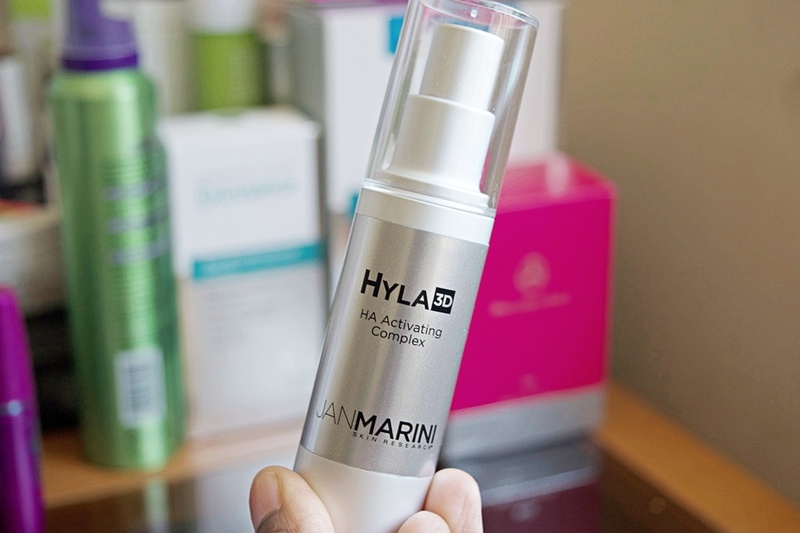 I am in love with JAN MARINI's Hyla3D Hyaluronic Acid. My face is plumped, supple, fresh, and even-toned. I have used Hyaluronic Acid from other brands on and off, but Hyla3d has reminded me to add Hyaluronic Acid to my skin care routine permanently. After the harsh winter, I needed a skincare product that will rehydrate and rejuvenate my skin. Hyla3D is lightweight, oil-free, and antioxidant-rich; it does feed my skin with the moisture it needs. After a week of using Hyla3D, I saw the dramatic change in the skin. It is very concentrated, so a little goes a long way. It is easy to apply, does not leave residue on the skin, and absorbs quickly into the skin. I use Hyla3D morning and night, and I use a moisturizer after I apply it on my skin. For skin that's patched and lackluster, you need to try Hyla3D. It is designed to deliver moisture into your skin. Your skin will thank you. *This post is in collaboration with Jan Marini, all thoughts and opinions are my own.